911 Restoration Los Angeles wants to let you know that if you recently experienced water damage, then worry not, as we are here 24/7/365 in order to get you dry. Our services are the best around because we value professionalism and we work every penny of coverage out from your insurance company in order to provide you with affordable solutions. On top of that, whether it is 3:00 am or 7:00pm, we will be at your door within 45-minutes with same-day service if you are experiencing a drastic emergency such as a flood, storm, or pipe burst. Our water damage West Covina team is licensed, bonded, and insured, so you can be confident in our work. The past should stay there, and your future should be filled with a fresh start. Call us at 911 Restoration Los Angeles if you are in need of a second chance after a water disaster. West Covina experiences the greatest amount of water around the months of January and February, which means that the best time to prepare for it is during the summer and fall. That is the most optimal time to begin roof repairs. Remember, all though it does not rain much in southern California, we still want you ready for when the water comes. Moreover, in October and December, it helps to begin removing leaf litter from gutters and ensure downspouts are not damaged. Water trapped in gutters can allow mold to fester, and it can grow into your roof. Thus, if your roof did not have gaps before, it would after that. 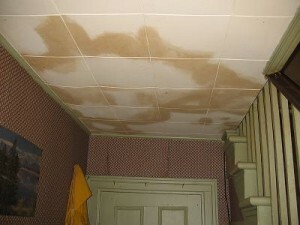 If you are already experiencing water damage, or curious if you are, then here are some signs to look out for when it comes to your ceiling and roofs. Other things to look out for are pungent smells because they signify that there is at least a microbe population of either mold spores or bacteria. Humidity and trapped moisture are thriving grounds for them, and they can plague a homeowner with headaches. 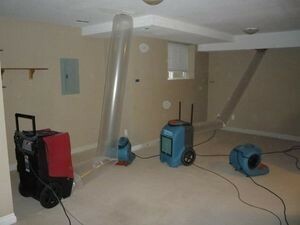 If any of these sound familiar, then call the water damage West Covina team at 911 Restoration. 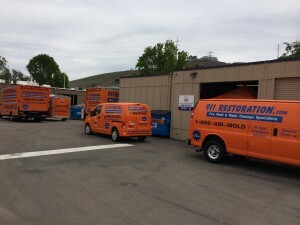 911 Restoration Los Angeles has been serving the community for over 35 years, and in that time we have seen a wide array of water damage incidents. For example, a real mystery we just solved involved a mysterious ceiling leak that a West Covina resident was having. She called us after hearing about our free water damage estimate. She had a continuous leak in her living room. During the rainy season, she figured it was due to a roof leak, but then after the rain settled, she noticed the leak never went away. Thankfully, due to our IICRC certified techs, we were able to use highly sophisticated infrared cameras to discover that there was a pipe running over her area. The water she noticed was not from rain; instead, it came from a pipe leak. Restoration involved shutting the water off from her home, and then we removed the affected paneling in order to gain access to the water line. We replaced the joints, and decontaminated the space of any leaks and germs that moist areas harvest. Once cleared out, we replaced the paneling with brand new materials. In the coming months our customer called back happy that she was able to breathe better, and that her water bill was showing up even less expensive than before. 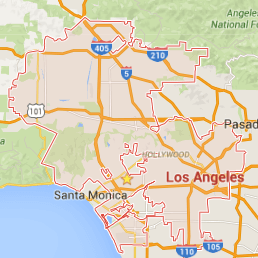 If you are in need of a team that is experienced, call us at 911 Restoration Los Angeles. Our west Covina water damage team will be there, fast.